What Does Facebook Know About You? …you’ll be surprised. Data firm Cambridge Analytica accessed data from 50 million Facebook users during the 2016 US presidential campaign without the users’ permission. Facebook suspended the firm from its platform on March 22, 2018, saying Cambridge Analytica lied about deleting the unauthorized information when it was first caught in 2015. President Donald Trump’s campaign hired Cambridge to target voters and direct its political advertising strategy. Since the exposure of this story, users around the world have been anxious to learn what information a data beast like Cambridge Analytica could have accessed after accessing the social platform giant. but also terrifying. I have been a member of the site since 2007 and was presented with an insane amount of personal details that have been collected on my behalf over the last 11 years. As you can see, it not only leaves space for contact information but my family is detailed along with an extensive work history to which is actually saved “privately” on my profile. 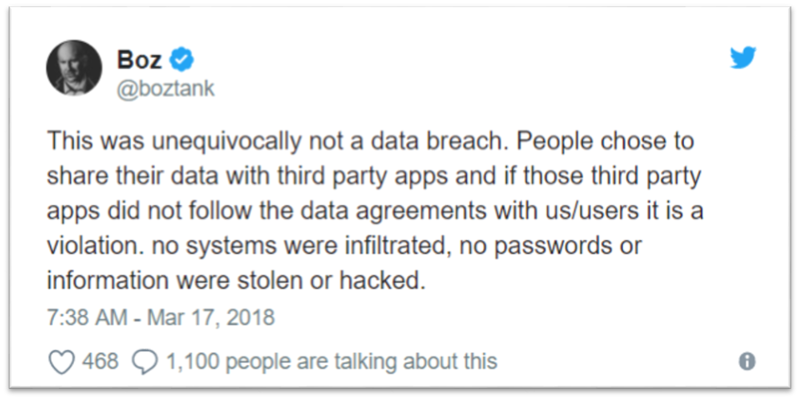 Apparently “private” only meant that third parties and hackers could see it, not the general public. 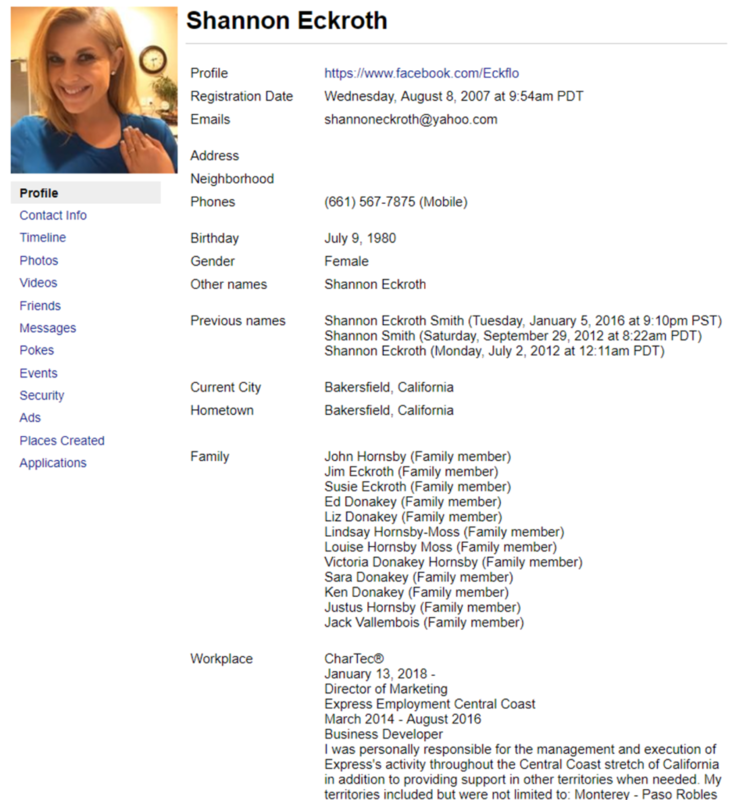 In addition, phone numbers and email addresses of over 20,000 people I had come across in my 10 years of sales and recruiting had been stored, many of which belong to people not even on Facebook. This was all listed under the “Contact Info” and obviously scraped from my mobile devices. Under the “Friends” tab, I was able to see a running tab of who I had connected with over the years, when I connected and when I disconnected as well! With an account constantly flexing around 5,000 friends, the list in its totality under this tab included over 7,400 people. The “Messages” tab was also surprising. If “de-friending” someone wasn’t enough to remove them from my data archive “Friends” tab, it certainly wasn’t enough to remove the messages either. Every conversation that I had encountered over the last 11 years from friends, strangers, exes and otherwise all reappeared and were obviously accessible to third parties and hackers. But still, it gets crazier!! There were over 1000 companies in this list for me. But Facebook doesn’t consider this exposure a hack or even a “data breach”. They will go as far as accepting that this was a “breach of trust” but that’s where their ownership stops. Deputy general counsel Paul Grewal released a statement on Saturday writing that “the claim that this is a data breach is completely false” because the researcher got consent from everyone involved. Andrew “Boz” Bosworth, Facebook’s former vice president of ads, took a similar stance. So many of us are left asking, “Is it time to delete our Facebook accounts?”. Some brands went noticeably offline this weekend, deleting their Facebook pages, even igniting a #deletefacebook movement, but is it necessary? Not really. There are plenty of ways we can start protecting our privacy more than ever. Check out this article for some easy “Spring-Cleaning” tips to a safer online experience.